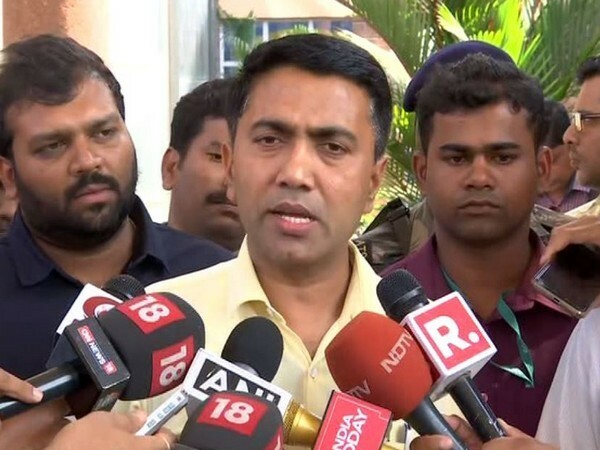 Panaji (Goa) [India], Apr 6 (ANI): A complaint has been filed against Goa Chief Minister Pramod Sawant for allegedly violating the election's Model Code of Conduct by holding meetings with government officers. A copy of the complaint, filed by an advocate, has been sent to the Chief Election Commissioner of India. Pointing out that the 2019 Model Code of Conduct strictly prohibits ministers from having any official discussions with officers, advocate Aires Rodrigues in his complaint has stated that Sawant and some of his ministers have been blatantly holding meetings with government officials. Rodrigues alleged that the chief minister had held a meeting of police officials on 3rd April at the Secretariat. Rodrigues in his complaint has sought that the flying squads of the Election Commission be directed to maintain a strict vigil at the offices and residences of Sawant and his cabinet colleagues to ensure that the Model Code of Conduct is strictly adhered to.